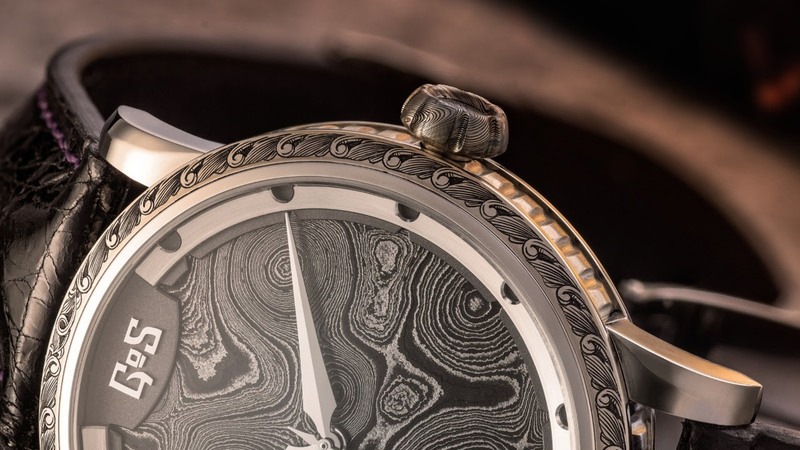 Horological Meandering - Our Swedish friends GoS has made crowns in handsculpted damascus steel ever since the first GoS watches more than 10 years ago. 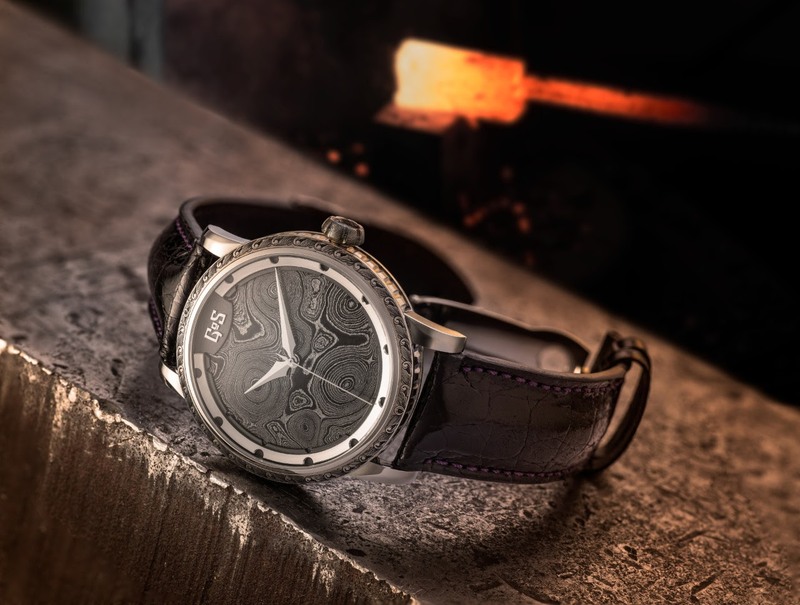 Our Swedish friends GoS has made crowns in handsculpted damascus steel ever since the first GoS watches more than 10 years ago. GoS has made crowns in handsculpted damascus steel ever since the first GoS watches more than 10 years ago. The Sarek collection introduced a new crown shape in 2016 which was inspired by Viking sword hilts. 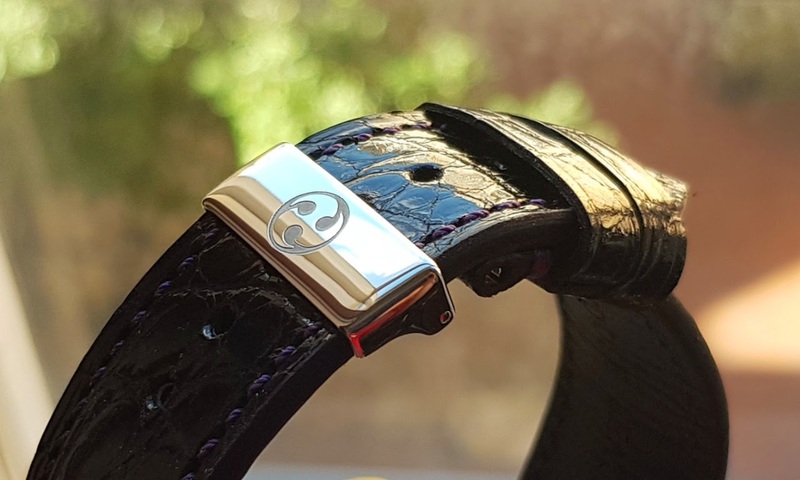 This design has been further developed into the damascus steel crowns of the Viking watch Väring and is now also available as an option for the Sarek. The material is stainless damascus steel which is forged to a density that results in a pattern with lines thinner than those of a fingerprint. Normally, GoS watch straps are made from moose leather that we source ourselves. However, the Sarek collections dress watch qualities are sometimes better matched with a tapered strap in a more glossy leather. We now offer alternatives to further personalize the GoS watch in both leather qualities and stitching to match or contrast the dial´s color range. The GoS 20mm deployant buckle is Swiss made and supplier´s patented and elegant snap lock mechanism has been proven flawless by major premium watch brands. and excellent photos. Thanks for putting this on my radar.